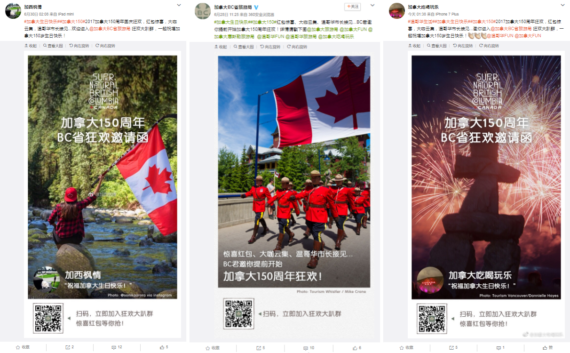 Our team came across a few posts on Weibo promoting a Canada 150 event on WeChat. We were interested to see what the hype was about! 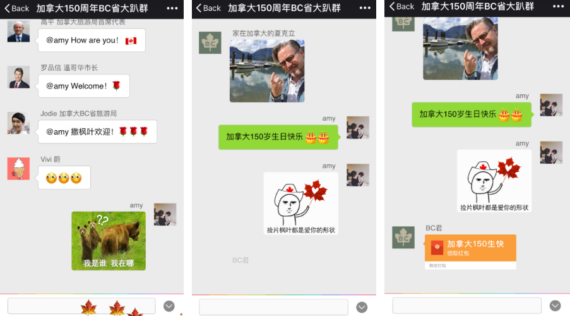 After following the call-to-action and scanning the QR code using WeChat, I was pleasantly greeted with welcome messages by the Chairman of Tourism Canada, Vancouver’s Mayor Gregor Robertson and Jodie from Tourism BC with automated messages. I was also prompted to open a WeChat red pocket. After opening the red pocket, I realized that it’s an empty red pocket with a hilarious message: We are a government organization so we cannot use tax payer’s money as prize. 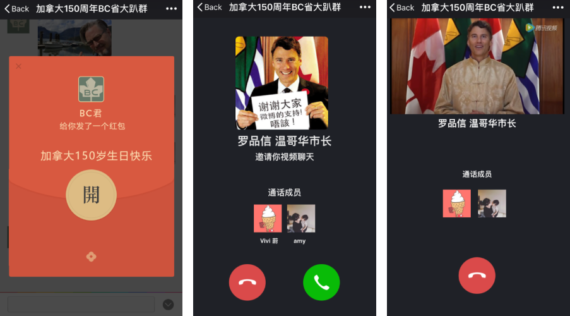 Then, I received a video call from our Vancouver Mayor, Gregor Robertson. I picked up the call and he greeted me with information about Vancouver, BC and happy birthday wishes for Canada’s 150th birthday. After Gregor Robertson’s personal video call about BC, I get prompted to ask questions about BC. There are also follow up links on information such “BC’s beauty”, “What to do in summer” etc. After clicking on each of the categories, I’m provided with more information in text as well as video form about the specific topic I’m interested in. 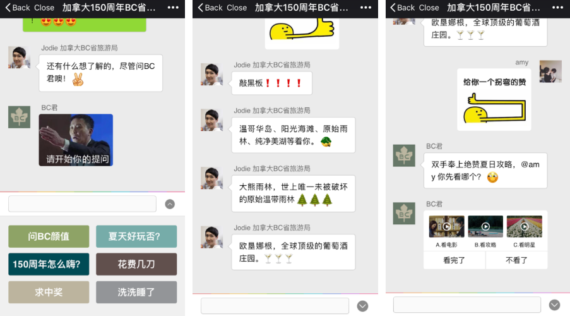 PreviousLocalized Accounts, Same Social Network NextWhat is Actually Involved in WeChat Marketing?